No, opioid withdrawal symptoms are not generally deadly. According to the National Library of Medicine’s Medline website, they are not life threatening but can be extremely uncomfortable. Most people who withdrawal off opioids and opiates are not in any danger. There are however a few cases where opioid withdrawal can be harmful but usually these have to do with other medications as well as opioids. Treatment is recommended for opioid withdrawal because it is extremely unpleasant and it is very easy to relapse. Relapsing while you are in partial withdrawal can cause you to overdose and that is deadly. Knowing the symptoms of withdrawal, what to expect, and how long it takes often helps with motivation to get away from opioids. 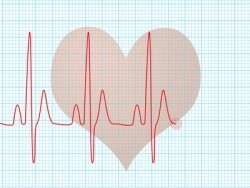 Rapid heart rate is a classic symptom of opioid withdrawal. All of these symptoms are physical manifestations of the drug leaving the body. They usually beginning to occur about 12 to 24 hours after your last dose of the opioid and continue throughout withdrawal. The mental effects of withdrawal continue well after the physical symptoms stop. Some of the only deaths recorded that are indirectly attributed to opioid withdrawal are due to suicides because of depression and anxiety. Opioid withdrawal follows a basic timeline. This is helpful to predict when symptoms will start and when they should end. Although the times given are a close approximation, most people fall within them. Acute withdrawal – during the phase you experience the worst of the symptoms. Many people relapse during this part of the process. This phase starts between 12 to 24 hours after your last dose of the opioid. It lasts between one and two weeks. There are cases of extremely heavy users that the acute phase lasts up to and over a month. The next phase usually starts at the two week mark. This phase has less physical symptoms but more psychological ones. This is when the patient is at risk for severe depression, anxiety, and suicide. Unfortunately, there is little that anyone can do about these symptoms and they can last up to years. They are treatable but not curable until they run their course. Doctors might treat them with antidepressants and anti-anxiety medications. relapsing into old drug habits. Most of the risks are secondary to the actual withdrawal. You cannot die from opiate withdrawal but you can die from the secondary problems associated with addiction. decreased ability to feel pleasure. financial issues related to purchasing and legal difficulties. When you compare these risks to the risks of withdrawal, there is a clear choice as to which is more dangerous. Continuing the addiction is clearing a losing proposition. Withdrawal is not deadly, continuing the path of addiction is. The hardest decision you can make is to get away from opiates. Opiate addiction is one of the more powerful addictions you can have. Once this choice is made, it is only a matter of time and effort to get through withdrawal. The hardest decision you can make is to get away from opiates. Opiate addiction is one of the more powerful addictions you can have. Once this choice is made it is only a matter of time and effort to get through withdrawal. There are doctors and counselors ready and willing to help you get through the hardest parts of your addiction. All you have to do is call 800-584-3274, and find your way back from opiate addiction. Recognizing the Signs of Withdrawal from Tramadol - There are typical, atypical, and behavioral signs of Tramadol withdrawal that you should become aware of. Types of Holistic Treatments for Opium Withdrawal - If you prefer a more natural approach to detox, consider these holistic treatments for opium withdrawal.